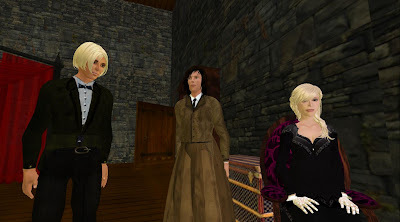 In a Strange Land: Finale for Usher & Teaching in Virtual Worlds? Is it to be "that's all, folks," in the immortal words of Porky Pig? In twenty minutes, I start what may be my last-ever work with students inside a virtual world. We'll see what the future brings, but for now, I'm betting on the Pig. 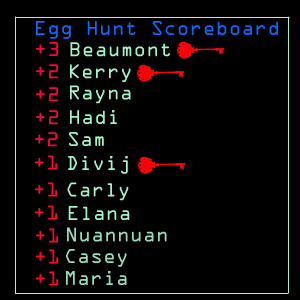 Here's the final scoreboard from the students. Three students not only found eggs but solved the quest therein. Nicely done, Gunters! Divij in particular came on strong with his work to lift the curse from his "bad egg."